This topic contains 2,175 replies, has 625 voices, and was last updated by DeadAir05 8 hours, 35 minutes ago. I think on the home page, the “Time To Approval” bar graphs must be wrong. A few days ago (in October) they made it seem like I was only a month out. Now it’s saying a Form 4 Paper Trust cashed in June will be ready by end of November? I wish! The scatter graph in the “Transfer Tracking” section seems to be more accurate. That’s showing cashed checks the first week of April are getting their approvals now, which puts it out at 7 months. That seems closer to reality, and it’ll probably get longer the closer you cashed to 41F. Mine were cashed in early June, so I’m assuming/hoping my approvals are end of Jan/some point in Feb (7-8 months). Maybe the bar graphs are aren’t accurate yet since that is what they’re still working on making better. The scatter plot is probably based on all the old data from the old site plus some new entries, making it a little more accurate. I’ve got a couple form 1’s submitted in May, and I really hope they come through in the next week or two (based on the old data… I saved a few excel downloads before the new site came up, but again, the new scatter graph for form 1 data seems to show that being the case also). The scatter graph is accurate. I double checked the data. The main bar graph is being reworked. It is correct but it should have any months at the bottom. It will make sense once the labels are cleaned. up. This reply was modified 1 year, 1 month ago by Click2. Thanks. Wow, I’ve been watching this closely as I’m waiting on a really important stamp from 8 APR. It just seemed like when the graph went back up it jumped ahead 3 or 4 weeks so I figured it was a glitch. That would be great if the data is accurate. I contacted some of the users to verify as well. There are several approvals from April. so how are we supposed to interpret the bar graph on the main page? That bar graph is getting changed. The issue is the labels. It is showing the average times for each section over the last 12 months but the labels are wrong. So if you ignore the labels then you can see the average. Don’t think your times are right. My check was cashed May 13, 2026, my status is still pending. Yes the wait times are correct. Remember that just because some people are reporting dates of approval in May doesn’t mean that yours are approved. There are a lot of factors that can affect your timeline. I contacted the ATF 2 weeks ago, and I was told that the early June check cashed date put me at the middle of Dec. for Stamp in Hand. Is that what you are figuring? I will be relocating in March due to job requirements and I don’t want to have an issue getting it done to where I have to travel all the way back. Thanks for any info you could provide. That sounds about right. Assuming that they don’t run into a big pile of forms. No such luck. It’s on the back side of 8 months and I’m still pending. I was told a couple weeks ago that the Inspector had my app and it shouldn’t be much longer, well as you can see I’m still waiting. A week on the backside of 8 months and now they are telling me that they have no idea how much longer it will be. Any help calming my nerves would greatly be appreciated. I called last Friday and plan to call tomorrow. This is starting to become ridiculous. Thanks. That’s pretty interesting to hear since what I’ve been observing on various NFA-centric forums is that current wait times are in the 7-8 month range as opposed to the just over 6 months that your conversation implied. Looking at the chart right now, it looks like the data points are starting to level out at ~210 days after check cashing date. I’m assuming that the points are time from check cashed to stamp approved, not stamp in hand. – 2-3 weeks for ATF to mail your stamp to your dealer..
At first it was showing check cashed to check in hand date. This can skew the chart if you think about it. If I don’t pick up the silencer for 2 extra weeks after the stamp is at the dealer then that changes the timeline. We thought that we could get a more accurate assessment of the ATF speed by changing it to approval date. If the collective group thinks that it should be to in hand date then we might change it or add a new graph. Personally I think this current graph helps provide more accurate data. Also remember the majority of people that use this site don’t understand the ATF to the fullest so they can skew data easily by not understanding the process. I think if you are familiar with how the old “scatter” graph works, you can probably figure this one out. I would suggest adding some directions for new people. The appearance is not as good as the old one. Now the bar graph on the other hand I think is a little out of whack with the approval dates. Please keep up the good work. The graphs are being redone right now. It will look like the old one. The bar graph is getting revamped as well. Called for a status check on my Form 4 on Monday Oct 31, 2016, the recording used to say 6 months for approval, now it says 8 months. Still pending from March 31, 2016. The most accurate way to display information is to create input where variables are in the graph. Check cashed date doesn’t change once you call and find out. However, anything before check cashed date is irrelevant and doesn’t need to be viewed. From there its pending date until its approved, so the less irrelevant information the better. This can be used to increase the graph accuracy without human error. The old graph was useful to those who know how to use it, as long as what was being added was correct. If your saying the current chart is accurate I might agree but your “grace period” is more than 30 days, that’s a big period. The old chart would sort and filter by check cashed days and you could group your “date” with everyone else and compare by location, item, filing system and more. This paints a picture of the same day, not a “period” and provides as accurate information as you can get besides calling the ATF yourself. Your chart is creating an average not specific enough information. Ok which one are you referring to? The Bar Graph is giving the average. The Scatter Graph gives current trends. Old NFA tracker I could download the excel document and say search for SBR results. All other information on this document is now not important to me and can be erased. I can input this data into my own document to create my own chart and see when is the best time of the year to buy, which month are faster, if approval times are longer, which states process faster (honestly there are a few states that seem to get their stamps back quicker and dealers), find others like me and anticipate when my stamps will arrive so my dealer can get a reminder I’m waiting. Most importantly I can find everyone on the site, applying for an SBR, grouped by date their checks cashed, and get my average closer to mine, by date, by type and location accounting for mail. Hope this explains it better, appreciate what you have done but I just miss the old information that was a bit more accurate. The bar graph is meant to give the 12 month average. No it won’t be as accurate as the scatter graph for real time waits but it is a starting point. More graphs are coming that will break down everything such as SBR, SBS, silencers etc. The scatter graph has been changed back to the old style. The spread sheet and excel download are coming back soon. We will keep adding graphs and charts so if you want something let me know and I can have them create it. Can I see a larger historical sample on the scatter graph? Is there a button I’m missing? Look at the scatter graph this morning. It now goes back 2 years like the old one did. Also the data points are smaller as requested. Just want to throw my two cents speculation in on this topic, so take it with a grain of salt. The data is probably displaying correctly based on the data available for the last 6 months. So the last 6 months of approvals are showing. However, a pretty big event happened in July. Regardless of your feelings on 41F, there were record numbers of forms submitted the weeks (and even days) prior to 41F. I can only imagine that such a sudden flood of new forms required the ATF to pull people away from approvals just to sort all the new forms and input them into the system. Once they got them input, they probably returned to their normal duties to work on processing and approving forms. When I submitted my form 4 trust March 22, everything indicated early september, but I just called and was told it was approved 31 Oct. I’m very happy mine is almost here. Again, just my speculation based on my experience with government work ethics. Huggytree, you’re not the only one that’s lagging. I was seeing mid april approvals when my check cashed march 22. I’d suggest that it’s not necessarily us lagging behind the trend, it’s more that the data of the charts is lagging, but there’s nothing the site can do since it’s user-submitted data. This reply was modified 2 years, 5 months ago by huggytree. Don’t have the stamp yet, but it should be on it’s way soon. I just called to check the status on my Form 4 trust suppressor transfer. As mentioned above the wait time recording has extended to 8 months. My check was cashed April 19th, I first called in August and was told pending and was again told pending today. Today was 200 days since the check cashed. I’m right behind ya, LEOshorty. Check cashed 4/25. Called today. Get this: The gal told me my stamp fees were paid July 11th, which started the processing. However, my checks were not cashed and no ATF ACH transaction has hit my bank account. Strange. I told her that, and she simply said that their records show it paid 7/11, and it was in process. I’ve been holding the funds in my checking account awaiting ATF, but I guess I’ll put the money in savings so it can earn all the big interest…? She told me to expect a March approval if all is ok with my submission. This reply was modified 2 years, 5 months ago by djunkins. Djunkins, I would personally make sure I kept the funds to cover those checks available in your checking account until after you have stamps in hand. I always use a credit card and they process those immediately. Usually within 3 business days of sending the forms to Atlanta. It’s good to see someone chime in with a tail end of March approval. djunkins, at first I thought you were bitching because of a four month wait on the form, but I see you’re talking about the check being cashed. I’d be pissed too. I had the form 3 to my dealer get lost and subsequently it took as long as a form 4. If that hadn’t happened I would probably have my stamp already and it’s for a 30 thousand dollar MG, I purchased it almost a year ago also (Dec 2015). Now it’s caught up in the 41F madness, check cashed 8 APR and now it’s hard to find reliable data on when the hell I’ll get my stamp. NFA is what it is but 41F has been a huge cluster for us all, ironically I think it’s because of us all getting scared and dropping a ton of forms. 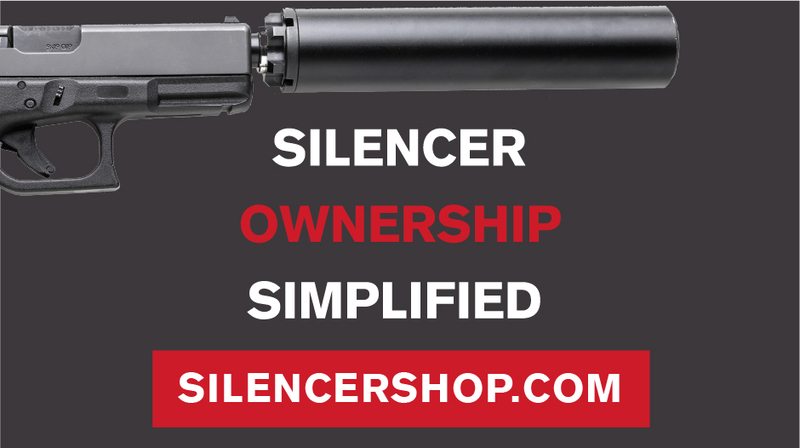 I did a Form 4 trust back in Feb with Silencer Shop. Check cashed on April 9th… Nothing yet… I heard from Silencer Shop saying taking 7-8 months for old form 4 trust approval prior to July 2016… Dunno what’s accurate. Any new info would be nice. Been waiting since Feb. when I made purchase. You have to account for the time from check cashed, not from time submitted to SS. 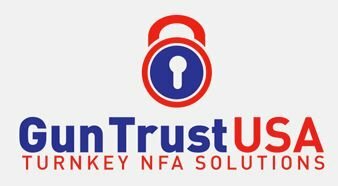 So…you only have been waiting on ATF/FBI since April. I would say you are possibly close if the average holds from the scatter graph and you don’t have any issues to hold you back. Looks to be about 180-190 days for most submissions in that time frame just prior, although it seems to be rising again…. Just hope you are not one of the “lucky” ones that get stuck in FBI limbo. Have you taken the time to call the ATF to get a status? This reply was modified 6 months, 2 weeks ago by DanJ. Slight insult to injury. SS will often sit on forms for a month, at least they did the first time I filed. Probably queue’ing up batches to submit in bulk. Right now it looks like approval times are ramping up as fast as they were speeding up earlier this year. Something seemed to have happened prior to the government shutdown. AFAIK no one knows for a fact if the shutdown is slowing approvals. But logic would dictate that items like this would be bottom of the bucket on the gov list of things to do.